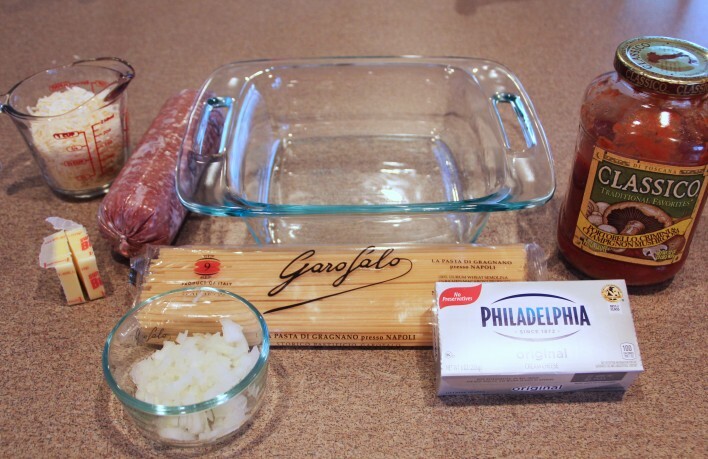 Earlier this month, I told you guys that January 5th is National Spaghetti Day- and that I would be celebrating said day with a spaghetti recipe I would then share. Well, today’s the day I share the recipe! I love spaghetti. I really do. Sometimes my husband makes fun of me when I go to Italian restaurants and order spaghetti because we can have spaghetti any old time. But it’s just so good. 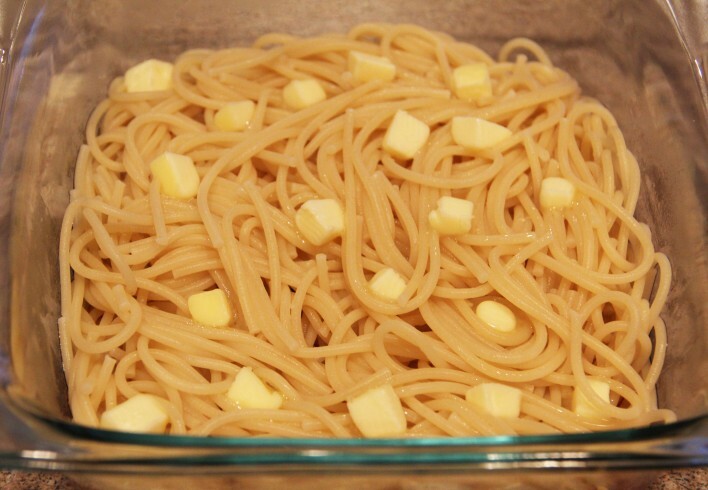 To celebrate National Spaghetti Day I made a special kind of spaghetti that’s different, but really really good. I’m talking, finish your plate and hover over the casserole dish sneaking extra fork-fulls until your self-control kicks in reminding you that this will make excellent leftovers for lunch tomorrow if you just put down the fork and save the rest. 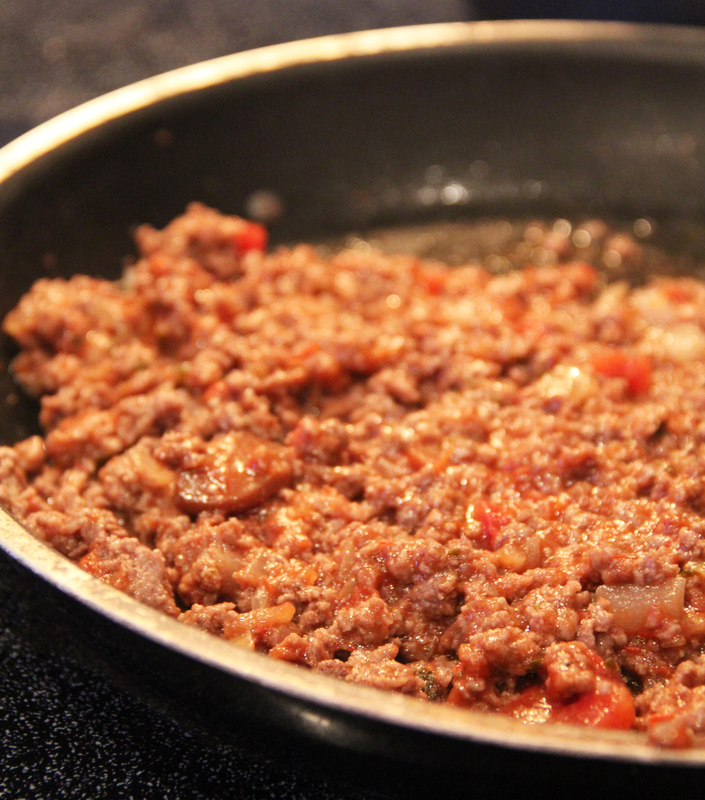 If you’ve read through any of my recipes, you know that my measurements are not exact at all. If you don’t like a lot of cream cheese, don’t use the whole package. 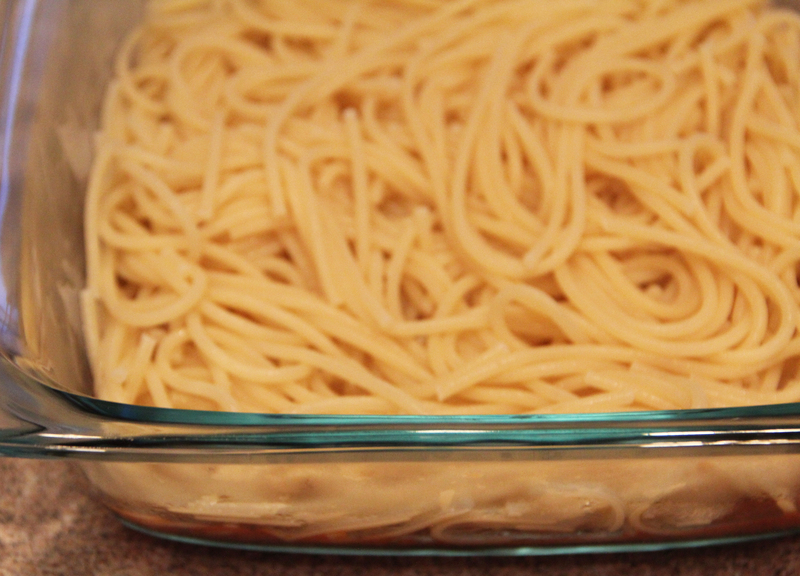 If you only have 6 oz of spaghetti, make it with 6 oz of spaghetti. If you don’t have any onion, leave it out. Have some bell peppers you need to use? Throw them in! You get the idea… make the recipe how you’ll like it. While the meat is cooking, you can boil some salted water and cook the noodles according to the package directions. 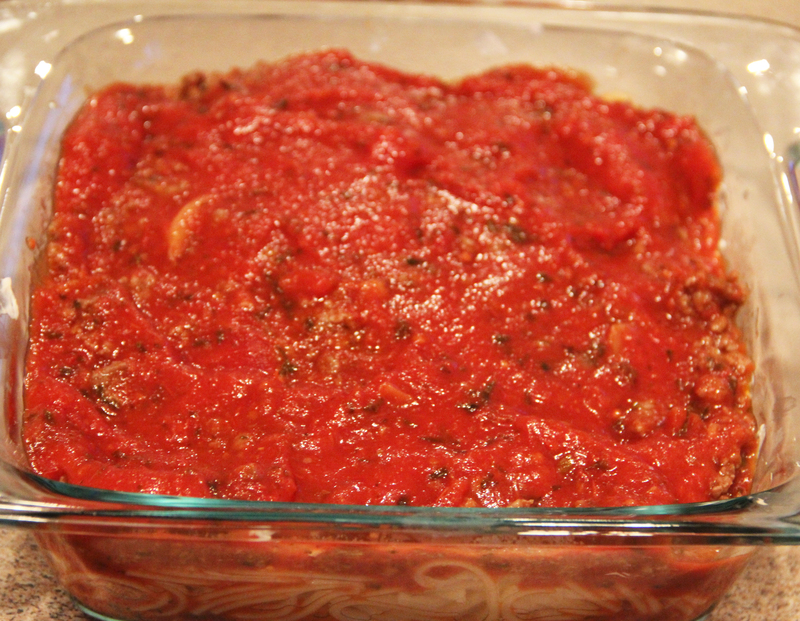 When the meat is done and drained (if needed) pour in some of the red sauce to coat the meat. 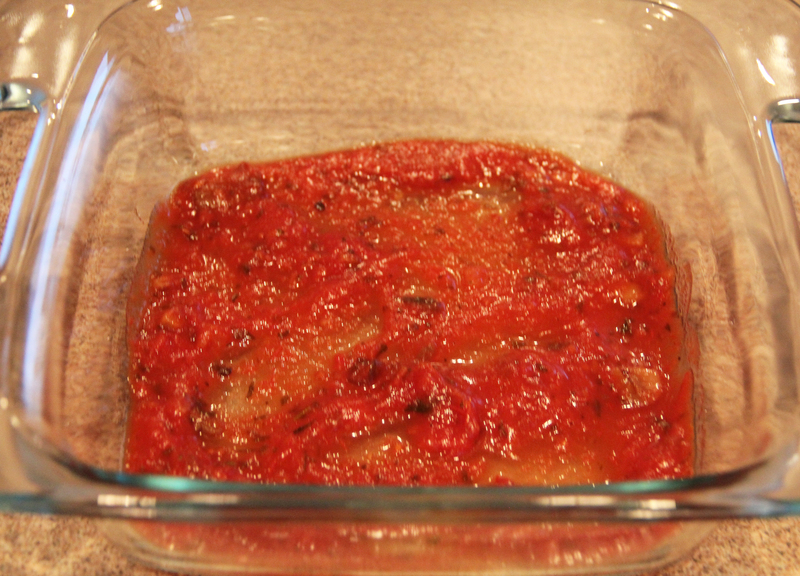 Pour in a thin layer of sauce into your baking dish. I used an 8×8 pan. 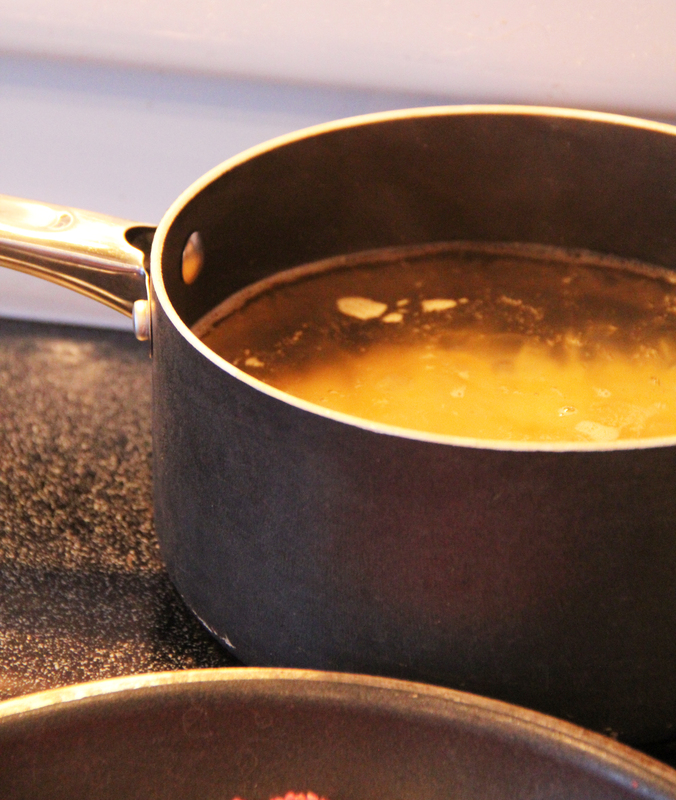 Next, layer in your cooked, drained noodles. This step isn’t necessary, but I tuck in the cubed butter into the noodles. Next smear the softened cream cheese over the noddles. This part can get messy, especially if the cream cheese isn’t soft. Don’t worry about making it pretty- it’ll be tasty no matter what. The softer the cream cheese, the easier it’ll be though! 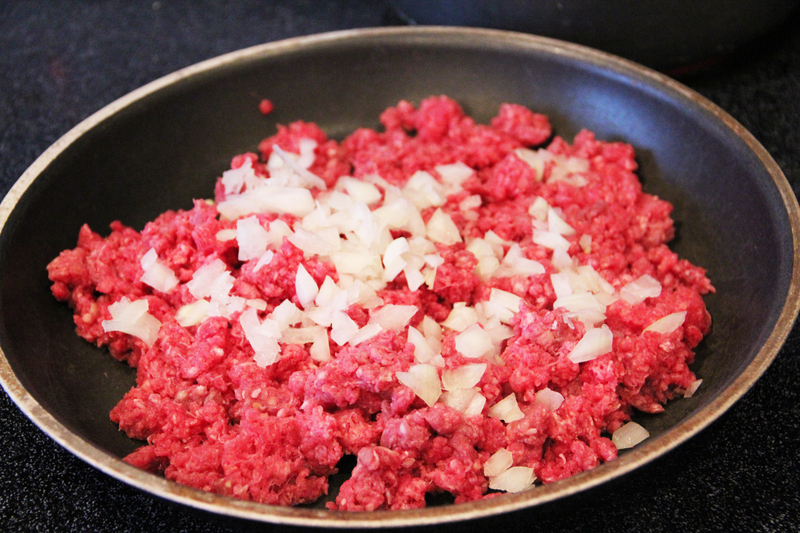 Next add the ground beef, and more sauce. Your pan should be pretty full by now! 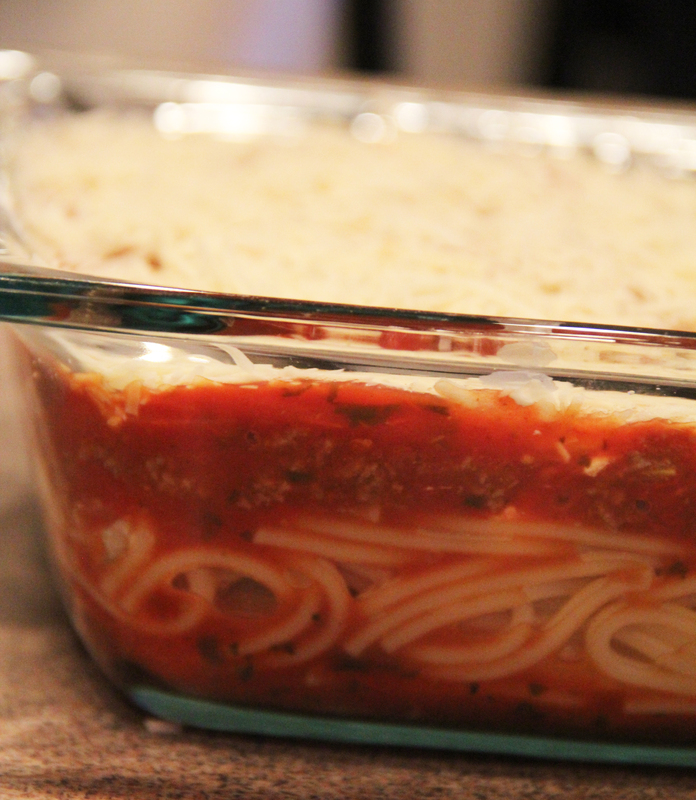 Finally, add your parmesan cheese! 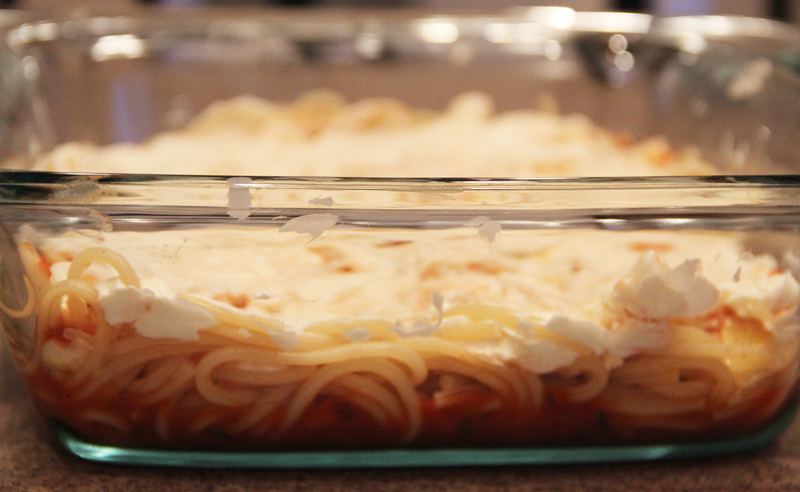 The more the merrier in my opinion- when it comes to parmesan cheese. 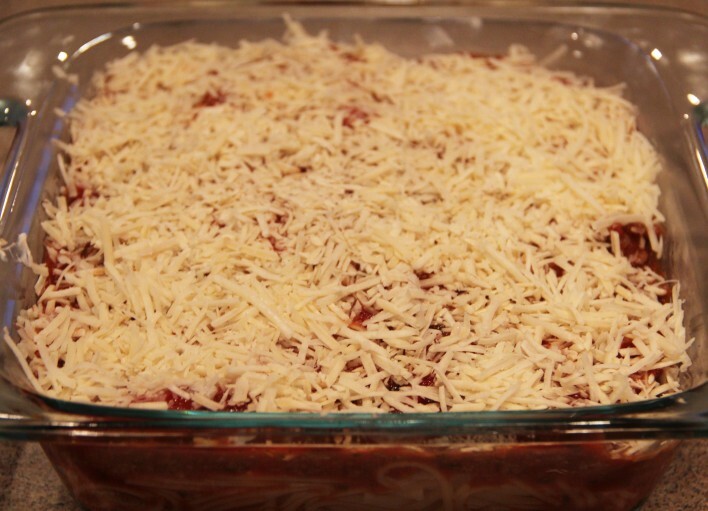 Bake for about 30 minutes, or until the cheese is nice and bubbly. Let it cool for a little before diving in. I love this stuff! We always have the ingredients on hand for spaghetti (because again, it’s one of my favorites) – but when we have cream cheese in the house, I love adding it in to make this tasty baked spaghetti. Bell pepper or mushrooms would be great additions as well! What’s your favorite spaghetti recipe?